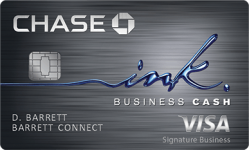 The Chase Ink business cards are some of the best credit cards out there. For a limited time only you can earn additional bonus points for signing up for them. Last week the limited time increased bonus for these cards lasted just 1 week, though I don’t have any information on when it will end this year. The bonus for the Ink Plus and Ink Bold cards is temporarily increased from 50,000 to 60,000 points for spending $5,000 within 3 months. Typically if you got a Chase card within the past couple months and the offer increases they will match the better offer for you. Just send a secure message to request that when logged in at Chase.com. Here is a chart with the differences between these cards. Spend Threshold $5,000 in 3 months. $5,000 in 3 months. $3,000 in 3 months. Type of card Charge Card: Must be paid off in full every month. Credit Card: Can be paid back over time. Credit Card: Can be paid back over time. Annual limit for 5 point per dollar categories $50,000 of spending. $50,000 of spending. $25,000 of spending. As you can see, there’s no major difference between Ink Bold and Ink Plus other than charge versus credit. One advantage of Ink Plus would be that you can shift credit lines to that card to get it approved and if you ever decide to close it, you’ll be able to shift the credit line elsewhere. On a card like Ink Cash with 0% APR for purchases and balance transfers for 12 months you can owe money without having any negative effect on your credit score. All Ink cards give 2 free lounge visits per user, even on free additional user cards. Here is a link to find valid lounges worldwide. Lounges include the Dan Lounge in Tel Aviv and the Art & Lounge in Newark which both have kosher food. With that program you earn cash back on top of points. You’ll earn 1% cash back at Staples, Chevron, and Texaco, 2% cash back at TigerDirect, 4% cash back at Alamo and National, 5% cash back at Lenovo, Sony, and several hotel brands, etc. Plus all of the Ink cards offer 5 points per dollar on internet/cable service and telecom purchases, so that’s a nice rebate when you purchase a new cell phone and off your cable bill. At Staples of course you would earn 1% cash back plus 5 points per dollar. 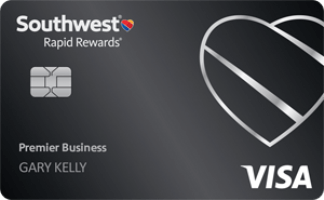 You can buy $200 Visa gift cards (now sold online from Staples) that earn 1,000 points and can be used to pay bills with EvolveMoney, uploaded to Bluebird or used for cash back, bill pay, money orders, etc. Or you can use them for everyday spending thereby getting 5 points per dollat on everything you buy anywhere via the Visa gift cards. 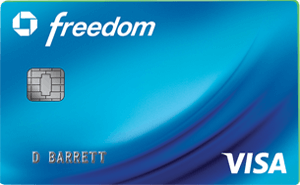 The Cash card offers 2 points per per dollar for spending on gas (plus 1% cash back with Visa Savings Edgeand dining. –United (Star Alliance) is still an excellent currency, even after their devaluation a few months ago. They never charge fuel surcharges, have very flexible routing rules, they allow one-way awards for half the mileage, they have short-haul awards for 10,000 miles, they allow for a stopover and an open-jaw so that you can really maximize a single award ticket into several free trips, and they have dozens of partners to fly on, most of which can be booked on their website. –British Airways (OneWorld) is awesome for short-haul awards. Just 9,000 miles for a round-trip zone 1 or 15,000 miles for zone 2 short-haul award. 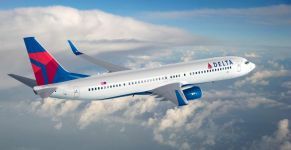 The zone 3 award for 25,000 miles round-trip can also be a bargain, for example for flights between the west coast and any of the Hawaiian islands or between Boston and Ireland with no fuel surcharges. Flights to Israel on USAirways or Air Berlin are just 60,000 miles with no fuel surcharges. They allow one-way awards for half the mileage. There are no close-in or expedite fees. You can cancel an award for as little as $2.50. Infants are only charged 10% of the miles on international trips instead of 10% of the full fare like US carriers charge. Plus they don’t collect fuel surcharges on AA within the western hemisphere, on Qantas within Australia, on USAirways, Air Berlin, Aer Lingus, Alaska, or LAN and you can transfer points to Iberia to limit fuel surcharges there as well. –Korean (Skyteam) offers unbeatable first class availability (A380 First Class Trip Report here) and they also have true bargains on partner travel, just 30,000 miles to fly round-trip on Hawaiian or Alaska to Hawaii in coach or 60,000 miles in first. And it’s just 20,000 miles to fly to Alaska in coach or 40,000 miles in first. You can even get a free stopover on the way to or in Alaska! –Hyatt is a powerful hotel currency. 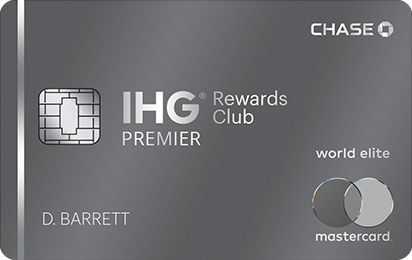 They have added a new cash and points option that offers some excellent values and more importantly those stays earn points, elite stay credits, promo credits, and you can use suite upgrades on cash and point stays as well. It remains far less expensive for high-end hotel stays than any other hotel program, a $1,500/night villa at the Park Hyatt Maldives would run just 25,000 points or 12,500 points+$150. -A first class ticket to Hawaii can cost $3,000 but you can use 60,000 miles for that same ticket, a value of 6.7 cents per mile. 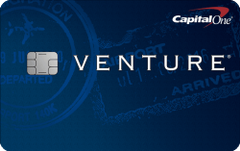 If you were using Capital One points you would need 300,000 points per ticket. Yes, the Ink cards are business cards. 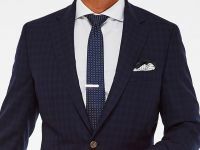 But you may be already running a business that qualifies for a business cardand there are several huge advantages that business cards have over consumer cards as you can read here. If you’re like me and you run more than one business you can get the same type of card for each business to manage each businesses expenses separately. Other Chase consumer cards you can apply for simultaneously include the Chase British Airways (50K signup points, 1.25 Avios per dollar, and an annual companion award ticket if you spend $30K+ in a year), and the Chase United Explorer (30K signup points plus another 5K points for adding a free additional user, and it gives free luggage, free primary car rental insurance including in the US, expanded saver and standard award ticket availability, priority boarding, and more), the Chase Sapphire Preferred (40K signup points plus another 5K points for adding a free additional user, no fee the first year, plus 2.14 points per dollar on travel and dining with no Foreign Exchange fees), the Chase Southwest (50K signup points, 2 free checked bags, no award expedite fees, and no award cancellation fees), and the Chase Freedom (which has a limited time offer for 20,000 point for spending $500 plus 2,500 points for adding a free additional user, it also gives 5 points per dollar in rotating categories and 10% bonus points if you have a Chase checking account). 190 Comments On "Final Day For Increased Signup Bonuses On Chase Ink Cards"
I’m expecting my new Ink Plus to arrive this week, time to send a secure message! I had a feeling they might be upping the sign up bonus soon when I applied last week. Second instance of moving a week too early within the past 10 days! Last week I ordered a Kindle 8 days before the $20 off offer popped up. Amazon credited the difference. if i got approved for a card ink bold a few days ago..can i get the the extra points they are offering,if yes how? Sorry for the question if it’s been answered before. I had this card previously. How long would you say to wait between before applying again? Should I wait till I meet the spend threshold or PM chase ASAP? For the United 55K+$50 match they say to wait till I meet the minimum. Any idea of how long this promotion will last? Your help is greatly appreciated as always! For the lounge access where would I find the invitation code that it is asking for? Thanks so much. Dan, Do you need a better credit score to get approved for Business then a Personal card? Also, if I applied and got approved for an Ink card a month ago do you think I will be able to get them to match the increase? There isn’t a time period. Whether you would be approved is based on your credit score. Doesn’t matter, no need to wait. I don’t think it won’t last very long. Last year it was just over 1 week. No major difference between the 2 cards though theoretically Ink Plus gives some added flexibility. I don’t think so, though some cards, like Freedom, are easier to get than others. And in general, from which credit bureau does chase pull? Would it be easier to get approved for ink bold or ink plus? I guess I’d go with Ink Plus as you can shift credit lines to that card and if you decide to close it you’ll be able to shift the credit line elsewhere. Depends on where you live, but reports (and my experience in NY) is NY and NJ are experian. Don’t believe it matters. I’ve applied for both and when I called recon they let me choose which one they would approve if they were only going to approve just one. can I get the bonus in a diffrent bussines name if I have 1 now ? So send them a link of the offer. You can get the same card for different businesses. I did and got the additional 10K. Thanks Dan! I’ve read the new Ink cards are VISA. Can I close my current MC Ink account, and re-apply new? 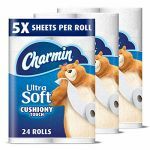 Will Chase see the change as a different product? You can just apply for the Visa version and explain that only the Visa has the Savings Edge program. Do you need to actually earn income from the business, or past income will do? to explain, I switched from being an independent contractor (1099) to working full time as an employee (W2) last year. Can I report last years 1099 income as the annual income even though I wont be making any more income with my own business anymore? If I still have my Ink cards open from last year’s 60k promo and I want to apply under the SAME BUSINESS, is it possible to get the points again and then transfer my credit line and cancel the old cards? Or should I cancel first and then apply? do not see on the chase website the 60,000 bonus just 50,000. where did you see the 60,000 offer? How long do you have to wait before you open this card again if you closed it a year ago? Um, click on the links in the post? If you get approved you’ll get the bonus, there’s no “time limit”. You rock Dan!! Super easy email, 30 minutes later I’m 10,000 points richer. Thanks!! is there anyway i can load prepaid ( WESTERN UNION, MY VISA)cards or visa GC or OV with a credit card or debit card? Dan, Thanks for the response! If i get a “Pending Decision”, can i/should i call reconsideration right away or wait for the notice in the mail? I’m impressed how you respond to everyone. Any tips on how to apply without a business? Do you have a post about it? i just applied for united and BA yesterday. live in NJ. what are my chances of getting approved for these ? Dan, have you ever posted just general tips about how your credit is affected by opening different credit card accounts? I have looked around but didn’t see anything like that. I did see where you say that the business cards are easier on your credit. But I am curious how long you typically keep a credit card and whether you close the accounts after some time to reopen others. I am just looking for general insight before I start opening new accounts and whether or not I should close others and how it affects the credit. In your experience, will Chase cost me to 2 pulls if I do this biz card together with a personal card in 2BM? How do you get the activation code for the lounges? Do I PM them? “Your local school or other charity will be more than happy to accept donations of Amazon gift cards for supplies or any other useful gift cards for chinese auctions, raffles, fundraisers, etc. I’m sorry Dan but I think this is wrong, encouraging people to donate to charity in a ‘cheap’ way by giving Amazon Gift cards then the organization has to struggle to liquidate them. When donating to charity, I think we should give the way the best for the charity (I’m not saying to only write check as opposed to Credit Cards, but Amazon Gift cards?!) not for out point accumulating habits. Of course you you can argue that it’s money that would otherwise not be donated, but i’m sure that’s not the case as money is money and people won’t decide to give to charity just because of the 5 points earned. I understand that Amazon gift cards are easier to liquidate than others, but it is still a hassle for any organization and cannot be used to the full amount of what the person who donated spent. At the very least, if we should suggest such an idea, tell people to add 5-10% of the donation to account for the lost funds the organization gets for receiving a gift card. Will people still be running to donate Amazon gift cards..? they asked for utility bill etc. proof of business @ this address, when i told them it’s a fairly new business out of my home and bills are in my name, didn’t help… would greatly appreciate any advice on how to get approved…Thanks! Got my Ink card two months ago and I just sent them a secure message. they responded within 15 minutes giving me the extra $10,000 points! Thanks Dan!! Thanks for the heads up. I just receive my first ink cards 12/2013 and they still honored the additional 10k points per account after a quick email! Which link do I send them? Can I use the multiple browser method to get additional business cards or is it 1 per business? Just sent a SM and got the additional 10k on both of my cards. Awesome, thanks Dan! Will I get approved for 2 cards if I apply? You can get the bonus for all 3. Schools can buy supplies, computers, etc, from Amazon. They can make a chinese auction for Amazon GCs and make more money than the face value. They don’t need to just liquidate when it’s useful. Besides people may wind up giving more charity this way, easier to do it when you see the reward. Say you’re just starting it? Those are all must-have cards. You can always try for a 3BM, YMMV. @Dan: Do you need to actually earn income from the business, or past income will do? to explain, I switched from being an independent contractor (1099) to working full time as an employee (W2) last year. Can I report last years 1099 income as the annual income even though I wont be making any more income with my own business anymore? I will overseas for another month, Do you think applying, especially 3BM will trigger fraud etc? Ive been planning on applying for these three for some time. I punted on answering that the first time you asked and I’m going to punt again, sorry. Anyway this offer isn’t going to be around in a month. @dan; do i need to transfer first to Hyatt then transfer to Southwest to qualify for a free Southwest Companion Pass? @dan thaks dan you ROCK!!!!!!!!!! I have an ink bold from a year ago(MC), ink plus from a month ago. If I wait 60 days, can I do another bold(visa this time) and be likely to get approved as long as CS is good? Has anyone had success doing two ink plus’ visas if they are for different businesses? I read you can get one ink plus mc and then the visa version but haven’t seen two of the same version confirmed anywhere for different businesses. SMed today on the INK bold, and they put in the 10k immediatly. sweet. Do you have a link for Saphire Preferred? Was thinking of getting 2 Inks and the Saphire. I currently have 2 Inks (Mastercards, under the same business that I will be applying for now) and had the Saphire 2 years ago. I have good credit but applied this past month at Barclays and twice at Citi. Do you think I am pushing it too far? if i currently have ink plus business is it better to close it and apply for it again or apply with a different business name even though its the same social sec #? I’m finally going to try for the Ink Plus business card. Question – all these places you mentioned above – transfer x miles to so and so, etc. Is this how it works? 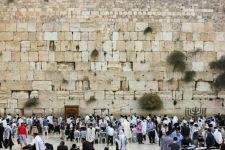 See how many miles you need for a flight to Israel, say using miles on United. Transfer from UR (that’s the name, right, from Ink plus card?) to United and walla!! Similar to my transferring from SPG to AA for a trip on ElAl? Just want to be clear, please. Hey Dan, if I currently have the Chase explorer, sapphire, and British airways, and would like to do a 3bm for the ink cards, is it recommended to close the accounts before applying or applying and then calling if reconsideration must be taken? 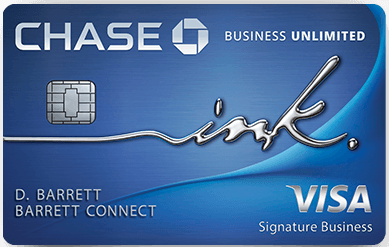 Chase is claiming that the Ink Cash does not have lounge access — only the Bold and Plus. Do you have any site that I can show them that indicates something different? Are 2/3BM’s still working for AMEX? I had a friend do a 2BM the other day and they rejected one because of duplicate apps. Only reason I ask is that I’m going to throw some amex’s in on this apporama. Hi I just got my first ink plus card in February of this year. Is it too quick to apply for another one even though it’s a different business? @sb In my experience, they won’t transfer credit line from personal to business cards. @James: If the two browser windows share cookies, you would have ended up submitting two applications for the same card. You therefore need to use two different computers or two different browsers (such as IE and Chrome) or one window in regular mode and the other incognito. @Steve: There’s nothing to show you b/c the Ink Cash does NOT have lounge access only the premium Ink card. I have 2 Ink Plus and 2 Ink Bolds for different businesses, no issues. Yes, you just have to speak to the right department. I am enrolled through my Ink Cash card, didn’t have an issue. @Dan: how? because with western union cards and my vanilla cards they say you need cash to reload?unless they tell you that but you can really reload with credit or debit? CVS sells OV for credit card. Staples and OM sell Visa GCs for credit card. Is it possible to get the sapphire bonus a second time after cancelling? accounts do not fall within this designated time frame. @Dan: thanks, but i was specifically asking for : my vanilla card and western union prepaid bec those you can go to ATM and cash out. U mentioned that on personal cards it hurts your credit even if u pay on time. So how does it help if u pay most of it off leaving some of the balance over? Won’t it still hurt your credit regardless of the amount of the balance? Is there any cc which offers bonus points on electric bills like these cards offer for phone bills? My credit is really bad but I do have some good credit cards from before I went bad. 1) Do they do a credit check on my SSN when applying for a business card? 2) If someone were to create an Amazon sellers account, would that qualify as a business for business card application purposes? @Dan – what are my options if I had the bold + plus in the past (and don’t have a business) but closed them over a year ago? Do you think they will give me the bonus? Thanks for the ‘heads-up’ about the increase in the bonus on the Chase Ink cards. I just received a reply that the 10K was added to my recently accepted Ink Bold card. I also just applied for the Ink Cash and hope to hear that I will get the 30K bonus. Keep sending updates. THEY REALLY HELP !!! Dan – British Airways agent told me that they are charging $55 (recently increased from $40) for changing/canceling award flights with partner airlines. You say it is free – thoughts? I hope not too far off topic. If I book a flight using miles and pay the taxes/fees using, say, SP – does the cc travel insurance apply to that trip? Or does the whole ticket need to be paid cash price on the cc? It is true that $55 is the official cancellation fee. However, for some reason, the way they “charge” the fee is to deduct it from the refund due for the taxes upon cancellation. So, if it was a domestic ticket with taxes of only $2.50, they just wipe away the entire tax refund and give you back your points- they don’t charge you the remaining $52.50 to give you back your points, for whatever reason. This makes $2.50 the effective cancellation fee. If you had taxes that were higher- then whatever the taxes were becomes your cancellation fee, up to a maximum of $55. How do I book us airways flight with ba avios? Can I do it on ba.com, or need to call? I got declined,when I called in they said I had credit pull too recently from Barclay which I thought was only transunion since I’m from NY, but I guess it wasn’t the case. I also have an excellent credit score so I’m still not sure why this happened. rob, they may have pulled TU for your ink. I’ve had chase pull TU before. chase close my account 6 months ago,may i try to apply for a new card, or its a waist of time? wow, first denial ever from chase – already had a bold before, closed when it hit 1 year and they wouldn’t offer a credit for keeping it open, and currently have an ink plus. The guy actually started asking about OfficeMax transactions from specific dates from my cards, asking if they were gift cards (lol). When I said that the supplies I were buying that day were indeed cheaper with the gift card promotion they were running on that particular week, he said “oh, manufactured spending then?” and it was downhill from there. Denied, wouldn’t even let me move credit or close existing accounts in order to approve. is that a standard response or does it indicate that theres a good chance i’ll get rejected? Thanks. Got the card a few weeks ago and they agreed to match the current offer. I have a trust with an EIN, does that qualify as a business. It has money that is laying around in a savings account gathering some interest (really not much) will that be sufficient enough for approval of the ink card/s? I’m pretty new to this still. I completed my application for Ink Plus and didn’t receive an immediate decision. I received an email saying I would receive notification on whether i was approved or denied through mail in the next 30 days. First question is, if by the time they get back to me the increased sign up bonus is over, will I still be entitled to it because of when I applied? Second is, what exactly does this mean? Does this mean I was denied most likely? Should I call reconsideration? I could always offer to move some of my sapphire preferred credit line to this card. 2 Lounge access with additional user card. Is this per additional user or just that the additional user can use it. 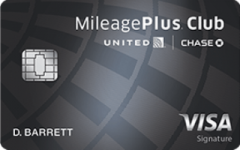 In other words, if i get an additional user card, do I get 4 lounge visits? Jeremy – if you get approved, you will get the bonus as it is tied to a hidden code in your initial application. Almost standards procedure with Chase for business cards to go into pending initially. 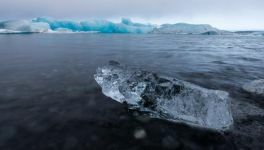 You might consider the reconsideration call as they just want to make sure you are really applying for a business card and not just blindly submit an app. In the past I have called them the next day and they just have ashed me to confirm my address, or in another case simply the name of the business. Just answer the same as you did in the application and you should be fine. My husband has a business and he has bold and plus. I would like to open a card with my SSN. Can i use his fed tax ID? I am a manager in his business. Chase is getting really tough on business card applications. @BigBoy Care to expand on your comment? Ditto on that Big Boy. Everything seems to be clamping down now. Is the 50 k max for the 5 points per card or per account? Just did (last week) together w/ some one 3/4bm, my friend got approved 2 out of 4, called they saying cap of 2 per 30 days. i did 2 for personal and got it, but one for Business they say you have more then one card more then $1000 in charge, and they didn’t let me to move credit from personal to Business. 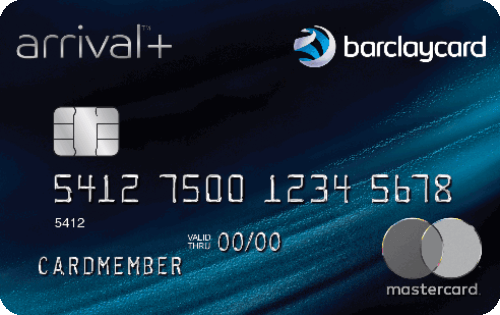 Does the 3 months begin when you get approved or when you activate your card? Worked for me 2 days ago just fine. Will a 2BM work for Ink Cash & Ink Plus? If I apply for both ink bold and ink plus (2bm) and am instantly approved, can I immediately make a purchase or do I have to wait for the physical card in the mail? All these cards have a fee after the first yr, what’s the best way to get out of paying it? Do you just cancel the card? Is it kdai to keep the card and just pay the fee? What’s evolve money? And how’s it diff than bluebird? i applied for the two ink cards however instead of selecting “Sole Proprietorship” i selected “other”! Just got off phone with Chase business. I was scolded for multiple credit pulls this year, using my existing business card for pharmacy purchases (Rep said: “this is all ‘MS’… we read the blogs too”), and told that this will be the last one they approve for a while. Did a 2BM for Ink Plus and Bold. Took 2 calls and both are approved! Did they ask you why you need both cards? If yes what did you respond? Where did chase pull from for NY applicants? I have the same question, dies someone have an idea? Just got this via SM on INK card. timeframe to match a higher offer ended on May 1, 2014.
on the next billing statement. if i got declined even after reconsideration, when is the next time i should apply? If I transfer these points to Southwest, could I use those points towards the 110,000 needed for a free companion ticket? i recently opened a chase bank account, and try to keep 1,500 in account. will that make a difference for approving? or is my score too low? You would need to wait. It’s not really a science. Every recon rep has to power to approve or deny. Transfers to Southwest do not count for companion status. However you can transfer to Hyatt and from there to Southwest for it to count, though you would lost some points in the process. 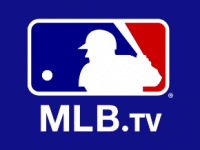 Why is your score 680? I got approved for bold with 22k spend limit but got denied from plus because they can’t offer me more credit. Unwilling to transfer credit from bold to plus for some silly sounding excuse, something to do with the fact that the 22k is not really 22k and is a charge card and not a credit card bla bla bla. Does she know what she’s saying or should I try again? because we had to foreclose on a house, 3 years ago. also had to settle a (chase) credit cards- through amazon. they shut card and settled on a % of the total. applied and said application is pending… called business number and said they will take few days to process credit worthiness? anyone else have this happen? will i be denied? or should i call a different number? 1- ? why is YMMV- your mileage might vary- the answer to CHASE comment #39? He wants to know if he’ll get only one pull using 3bm if it’s for personal and business cards? 2- also- read the archives- does AOR also only pull your credit 1x? Dan can you give us some new strategies when we HUCA with chase business recon? 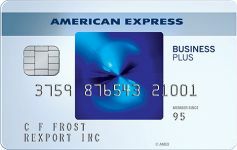 That’s the advantage of the Plus card, it has a credit line that can be shifted. You can ask to change the approval from Bold to Plus. Sounds like approvals will be tough in your case. Because some people report 1 pull and others report 2, so YMMV. An AOR gets at least a pull from every bank. Do I really want to change the approval from a bold to a plus? I just want to bring over credit which they said I cant because its not “real” credit. I also tried bringing credit from my freedom which has 15k limit, but that too, she said cant be done. Anybody know what is true and what isnt? One more thing – can I sm chase recon for business accounts too? How do I make sure it gets to the right department? also if I have Bold charge card why would I want a credit card? charge card theoretically gives me more “credit”? Had prepaid debit cards from Staples denied today in adding to Bluebird via Bluebird.com. When I called customer service, they said that the message “For security reasons, you are currently unable to add funds to your Account in this way. To fix this, please call Account Protection Services at 1-800-660-2454, available 24/7” was because it is a prepaid card. They said that they are now checking that the cards are linked to a checking / savings account. I guess that particular loophole has been closed – they said that you could still add funds at Walmart. YMMV. if hav an AA CC and then they send me another invitation a month later can i signup again and have two cards and get double the bonus? @Adamchik: i just used lonked for the first time a visa gift card to blue bird online and it was accepted. maybe i got lucky! The funds you wanted to move from your VISA ************35984 account to your Bluebird Account were added. how can i argue with recon if they are saying i opened too many accounts in the last 12 months and they can’t approve more? After a tough reconsideration agent. I got approved. Thnx. How many points would I lose in an Ink>Hyatt>Southwest transfer? so then what’s the benefit of AOR? If we switch our Ink from a Mastercard to a Visa do we get the 60k sign up bonus? @Eli: whats the # for chase recon? I am also of the same opinion, that they became much tougher. One Rep kept me on the phone for more than half an hour with a ton of questions until he finally approved me only for the Ink Plus. A few days later I called back for the Ink Bold. I actually got an extremely nice Rep that didn’t hound me to death. But after putting me on hold for a short while, he returned that he isn’t able to approve the card at this time. I have exceptional credit, I offered to move credit lines. Nothing worked. I asked him outright that in the past it seemed to be much easier to be approved, and maybe he should reconsider. He apologized profusely saying that the guidlines were changed, & he had to abide by them, and being that I was just approved for the Plus he can’t approve me for the Bold. Looks like the Chase party is beginning to wind down. I am new to Dan’s Deals. A few things. 2. If I apply for Ink Bold and get the 60000 bonus miles. Can I apply it to any airline whenever I choose to? Can my husband get a card? If so can he get 60000 miles or does he need to apply by himself? 3. I have various really small amounts of miles between me and my kids, American, US airways, United, Delta. All within the 10000 – 20000 range. Is this useless? If not how can I use it? 4. Can I use amazon payments, which I have just heard of today, to pay all of my bills, using the Chase miles credit card that I get? Mortgage, phone, utilities etc? How do I set up this Amazon account. 5. I would really like to get miles to fly to Israel. Which is the best credit card for that? Assuming Ink bold is not. It seems as if the bold card is flexible miles wise. Is that correct? Dan- You talk about buying Visa cards at staples and paying bills with them through Evolve. My local Staples store didnt have the $200 Visa cards, only $200 MasterCards. Is there any difference which one I buy if I am just going to pay my bills with them through Evolve? for that matter, is there any difference in the debit MasterCards and Visa cards? 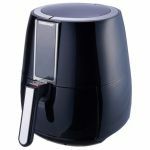 Longtime lurker, and I decided to use your affiliate link for the Ink Plus. Approved today! I have to put down a business name for the credit card (as it’s a business credit card). However, I don’t use credit cards for my business, so essentially, I would be using my business’s name, but using it for personal. Is that dishonest or it is not a problem as per Chase? Thanks Dan, got the extra 10,000. Need to sign up for the lounge now and figure out how to transfer points! Thanks!! You can also do 50K Ink=50K Southwest, but then those won’t count towards companion pass status. Only if you signup new do you get a bonus. 1. Click on the new in the reply link to see who I am responding to. 2. You can transfer the 60K points to any airline you want at any time. A husband and wife can apply separately and each get the 60K. 3. Transfer points into them to get to the bonus you want. 5. Chase and Ink cards are very good for Israel travel. So are other cards like Barclay Arrival and Starwood. Search for them on this site to learn more. Search on United.com and BA.com. Glad to keep the adrenaline going! Why not use the card for that business or hobby’s use? Does that mean we will have two credit pulls by applying today, yet only being able to call recon on Monday? Better to apply on Monday and ask for extra 10K? Dan, I would like to thank you for never answering my question. Why would they give you an extra 10K once the promo expires? The 60K bonus is supposed to end today. Either way you can just ask Recon not to do a 2nd pull. I don’t even see a comment from you on this post. If I signed up on Friday and don’t receive an answer for 10 days, do I still get the bonus? Dan,I don’t know what you mean by “over-entitled much.” But I do know that I faithfully read and support your site daily. I don’t say much, if anything. If you notice in your blog/post “Do you want to boost your credit score,which comes from your link above-huge advantages of bus. cc’s over consumer cc’s.” I’m the very last question(#120). Not hard at all to miss. But in relation to business cc’s and my startup business,I asked you in several other posts(respectfully)that when it asks about revenue,is it safe to put down “0,” especially for a construction business? Does anyone know if I can pay my chase plus card using evolve money? I searched on the evolve money app but only found chase mortgage payments. Do you know if I can pay my chase plus card using evolve money? I searched on the evolve money app but only found chase mortgage payments. Regarding getting 5x points for upgrading phone…wen I last upgraded, they only gave me one point, and when I called to ask why, they told me it doesn’t apply to equipment, only phone service. As a result I closed my card, though I’m re-applying now. Sorry if asked already. If I just opend up both cards 2 weeks ago will they give me the extra 10,000 points if I call them? What airline is 60K miles first class to Hawaii? (going from NYC). Thanks. I have lots of amex points as well as chase points. So I signed up for the Chase Ink Cash and got the “Thank you for applying. Your application requires further review before we make a decision….” Email. Is this standard, or most people get accepted right a way? Whats the # to call to give them that info? I just signed up online for Ink Plus. The link is still working (thankful for that!). I tried their phone line but wait time > 10 min so will call later. Thanks to all who have provided posting of their experience. Great community! I got an email (before the June 1st deadline) that said “Thank you for submitting a credit card application to chase” and they will let me know of the decision through mail within the next 30 days. Is there something i should do? Should i call to push through the process or sit back and wait? @anon18 what information did they ask for? Can you pay your chase ink cc bill through evolve? @Rabbi C: i second that Q – Can you pay your chase ink cc bill through evolve? thanks guys!